Make sure the same soil level is maintained. After you have planted your plant in its new home, water it in allowing the water to drain out of the bottom before placing it in a saucer. For a sun loving plant, leave in a shady part of your home for a week before putting it back where it belongs. We recommend fertilizing your house plants once every couple of weeks during the spring and summer. 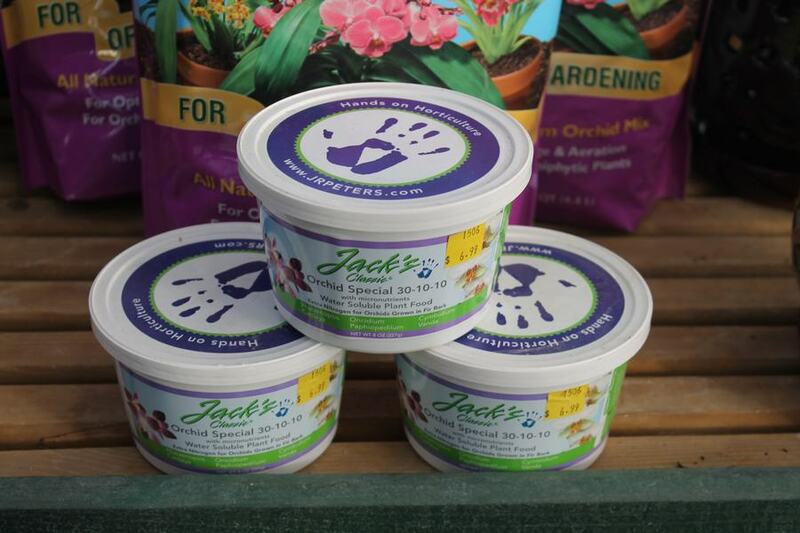 Jacks Classic Houseplant fertilizer is a general all-purpose houseplant fertilizer that we carry. African Violets, Cactus, Citrus and Orchids have their own specialized fertilizer. Make sure to follow all directions on the package. Now that the days are starting to get longer and the temperatures warmer, houseplants have started to come out of their winter hibernation. To keep them looking their best, it is recommended to clean up dead leaves and transplant them into a bigger pot during spring. When transplanting, a good rule of the thumb is to pick a pot one size greater than the pot the plant is in, making sure that it has good drainage holes to allow water to drain out quickly. With most houseplants you can use a well-draining potting soil such as our Wilson’s Potting Mix to transplant with. African Violets, Orchids, & Cactus require different growing mediums. We recommend the Espoma Organic line of potting mixes geared towards their needs. Check for root rot on the roots of your plants while transplanting. Root rot is a fungus caused from over watering and lack of drainage. The roots will be brown and mushy and not healthy looking. Unfortunately, there is no real true cure for root rot. There are home remedies, but we do not recommend them. When taking your plant out of it's pot for transplanting you may notice that the roots wind around the pot. Loosen the roots so that they will expand out instead of continuing in their circle. Give your plant a good cleaning by removing all dead leaves. This is important for the plants health. Dead leaves can cause decay to healthy leaves and give the plant an overall bad appearance. Dust your leaves with a rag or give them a shower in the bath tub to remove grime that has built up over the winter. 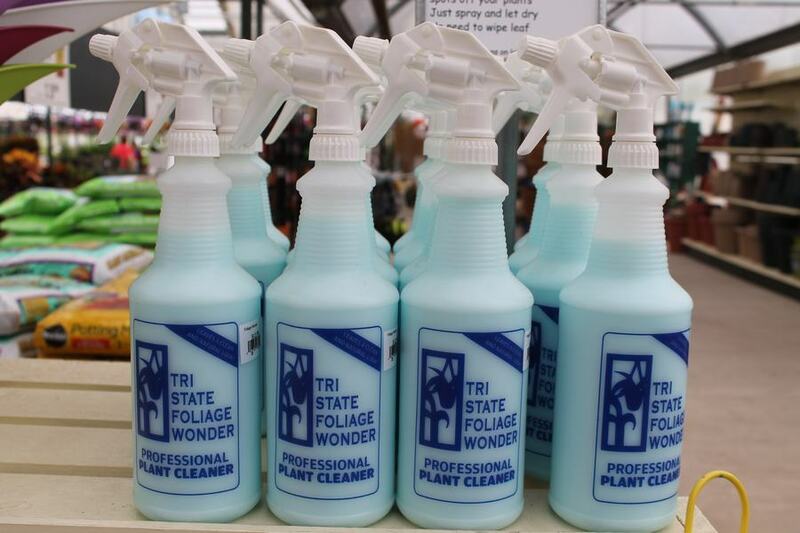 To give your plant a polished look we recommend using Tri State Foliage Wonder. It is a no wipe spray that removes water and fertilizer spots off of plants leaves. After the frost date and when temperatures are above 50 degrees at night you can move your houseplants outside. As always if you are unsure or have a question please feel free to contact the store about any houseplant questions. Take advantage of our creation station by bringing your plant in and for a small fee we can transplant it into a new pot for you leaving the mess here.